Incumbent Ukrainian President Petro Poroshenko and well-known actor Volodymyr Zelensky, who reach the second round of presidential elections, have equal chances of winning despite a significant gap between them in the first round. At the same time, regardless of who wins the struggle for the presidency, Ukraine will remain on the path of reforms that bring it closer to Western standards. Former U.S. 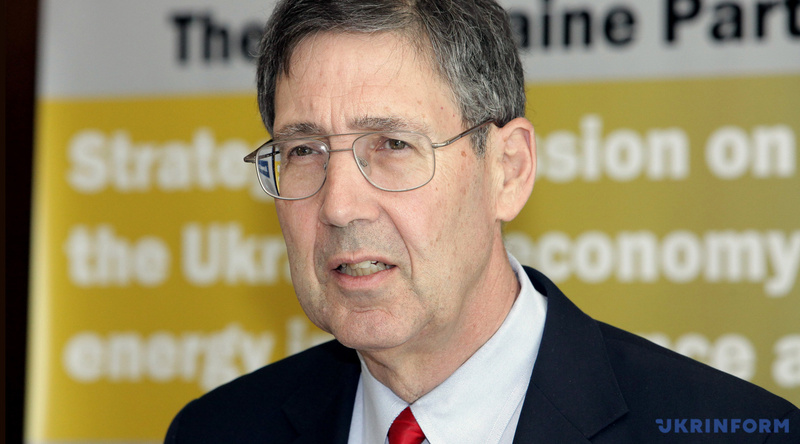 Ambassador to Ukraine John Herbst, who currently serves as director of the Atlantic Council's Dinu Patriciu Eurasia Center, spoke about this in an interview with Ukrinform. The conversation with him took place on April 1, the day after the voting in Ukraine. Question: After the first round of the presidential elections in Ukraine, we have two candidates with a significant difference in the ratings. What are their chances of victory, and what should both candidates do to win? Answer: I think they both have a good chance of winning. I don't think that'll be closer in the round two than it was in the round one. Q: What should they both focus their attention on to win? A: They may focus their attention on their own strengths and their opponent's weaknesses. So, for Zelensky the big issue is corruption, for Poroshenko the big issue is the national security. Q: Okay, if we suppose that Poroshenko wins, could we expect Ukraine to continue its current policy given the upcoming parliamentary elections, which will obviously change the current shape of political power in Kyiv? A: I think that Mr. Poroshenko is a very shrewd politician. He will adjust his policies to what is possible in the alignment in Ukraine - the political alignment in Ukraine - that emerges after the presidential election and the parliamentary election. That's assuming Poroshenko wins because we don't know yet. Q: Could we expect Russia to continue maintaining military pressure in Donbas and try to freeze the conflict if Poroshenko wins the election? A: Well, they're not freezing, they are keeping it live - a low-intensity conflict. This will continue until the Kremlin realizes that they cannot succeed with this policy. At some point, they will realize that, but they will not realize it until after the parliamentary elections in Ukraine. Q: And the opposite question. If Zelensky wins the election, what should we expect? A: Well, the one thing I would count on is the Kremlin will do some provocations to test him. Q: Today, there were a lot of talks regarding close ties between Zelensky and oligarch Kolomoisky, who's a strong adversary of the incumbent president. Q: What does it mean for Ukraine if Zelensky wins the second round? A: We don't know. What we do know is that if Zelensky wins the presidency and he is seen as serving Kolomoisky's interest, his chair will be weakened substantially. Q: Today, many people discussed a statement by President Poroshenko that Zelensky is a puppet of Kolomoisky. What is your opinion on that? A: I have no reason to assume one thing or the other about that. WHAT SHOULD BE EXPECTED OF THE KREMLIN IN THE SECOND ROUND? 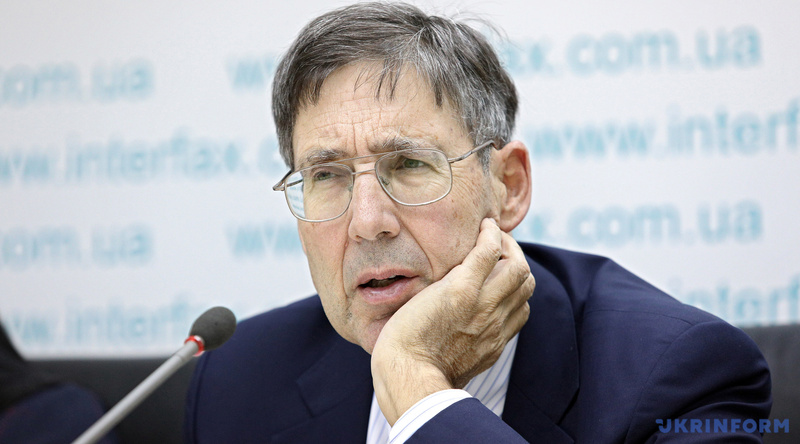 Q: We all know the intentions of Russia to meddle in the Ukrainian elections. Q: What is the major Russian interest in the second round of the presidential election in Ukraine? A: They would like to see instability in Ukraine. I know they don't want Poroshenko as president, but I don't know what they think about Zelensky. But for sure they will promote instability in round two. For example, they'll be hacking the Central Election Commission. Q: May Russia prefer someone between these two candidates? A: I just don't know the answer. I do know they don't like Poroshenko. But I don't know what their views on Zelensky are. Q: Could you explain why? A: Well, I think we'll see reforms continue, and I think we'll see a Western orientation. There may be differences obviously on specific questions. But the general course, I think, will be the same.